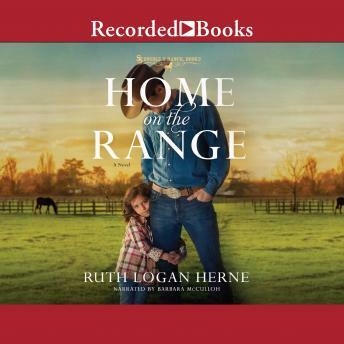 A cowboy romance with a heart of gold, in Home on the Range author Ruth Logan Herne returns readers to the Double S Ranch where God and family are first, but love is certain to follow the Stafford menfolk. Nick made all the wrong choices for all the wrong reasons. His father had failed at marriage and fatherhood. Nick was determined to show him up. He'd be a better husband, better father and a better ranch manager than Sam Stafford ever hoped to be. But Nick's wife Whitney hated the ranch and she walked out on Nick and their two beautiful daughters three years ago. For a long time Nick pretended everything was fine and when his stubborn nature is finally challenged by trouble with his young girls, he's faced with the changes he should have made long ago. Psychologist Dr. Elsa Andreas had a thriving family therapy practice, a school commission, a good life, but tragedy pushes Elsa to walk away from her life. Three years later, she's tucked herself in the backwoods of Gray's Glen. When her sister encourages her to help Nick Stafford's daughters, Elsa takes a chance. But Nick's ex-wife comes back to town, threatening the girls' newfound stability. Can Nick find the forgiveness and Elsa the courage to build their own "Home on the Range"?